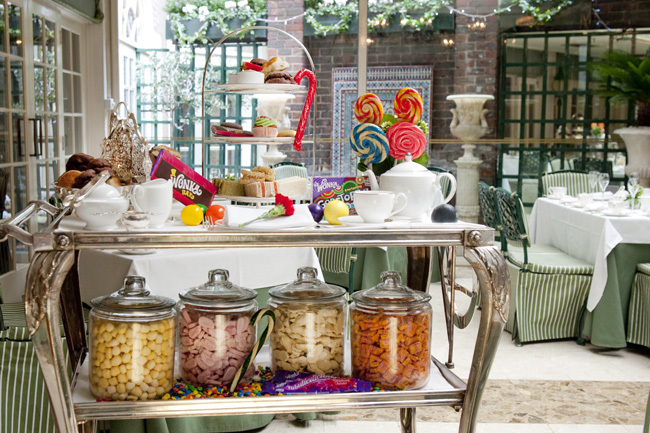 London’s The Chesterfield Mayfair is offering a Willy Wonka-inspired afternoon tea service. Did you know that according to the to the seventh annual Allianz Travel Insurance Vacation Confidence Index, more than 53 percent of Americans haven’t taken a vacation in the last 12 months? This staggering number should serve as motivation rather than a deterrent for agents because you can still make a big impact on your bottom line by seeking out these individuals. 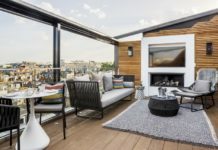 So run through your little black book, find those vacation-deprived clients, and tempt them into taking that vacation by suggesting one of these upscale properties where guests can drink (and eat) up the local culture. The Chesterfield Mayfair is hosting an imaginative rendition of afternoon tea inspired by Roald Dahl’s beloved novel “Charlie and the Chocolate Factory” complete with Wonka Bars, everlasting gobstoppers and golden tickets featuring a variety of prizes for guests to enjoy during their next visit from a 2-night weekend stay in a Junior Suite to complimentary magnums of Champagne. The 106-room boutique hotel—a member of the Red Carnation Hotel Collection and Small Luxury Hotels of the World—has received the Award for Excellence from the Tea Guild for an Outstanding Afternoon Tea three years in a row, so your clients are in for a real treat, literally, as the Charlie & the Chesterfield Afternoon Tea’s feast of creative sweets include Oompa Loompa cupcakes, golden eggs and fizzy lifting cake, as well as a selection of savory finger sandwiches to complement them. The ongoing Charlie & the Chesterfield Afternoon Tea service is priced at $45 pp and takes place at the intimate Butlers Restaurant. Additional amenities include a conservatory and the Terrace Bar where the hotel’s resident pianist plays. Regular room rates in September start at $245 per night in a Classic Double room. 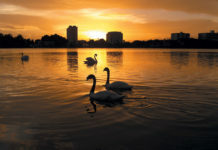 The Red Carnation Hotel Collection is also offering a wide range of imaginative afternoon tea services at other its other properties around the world including The Victorian Tea Experience at The Chesterfield Palm Beach in Florida and Tea by the Sea at The Twelve Apostles Hotel and Spa in South Africa. For more information, visit redcarnation.com. Send your clients to Napa during wine harvest season, not just to taste wine, but also to learn how to make it. Beginning this month, guests of Round Pond Estate, a family-owned vineyard, olive mill and limited-production estate winery in California, can fancy themselves a winemaker with the new Hands on Harvest experience. In the vineyards, guests can hand-pick grapes, test brix (sugar content), learn about ripeness, and compare soil and variety types alongside the winemaking team from the vineyards before heading to the crush bad to sort grapes, assist with pump-overs and racking, taste the juice, and learn about the fermentation process. Afterwards, in the barrel cellar, guests stir the lees, test sugar and alcohol levels, sample wine straight from the thief, and learn about barrel aging. By the end of the experience, they will have made their own Cabernet Sauvignon. 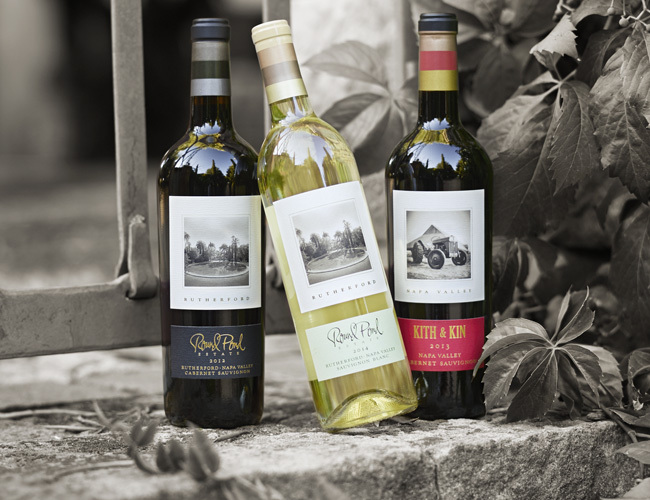 There’s also the option at the end to preview Round Pond’s collectors-only cult wines. The 2-hour Hands on Harvest experience is available through November starting at 10 a.m. Monday through Saturday for $220 pp. Reservations are required and open to two to eight guests per session. 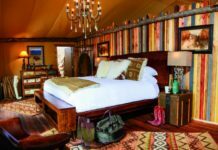 Round Pond Estate does not offer accommodations, so suggest your clients book the nearby 21-guestroom Southbridge Napa Valley hotel for their stay. The Small Luxury Hotels of the World member in the heart of downtown St. Helena features the Pizzeria Tra restaurant serving pasta and authentic Neapolitan pizzas cooked in a handmade brick oven; the Michelin-starred Restaurant at Meadowood; and the Health Spa Napa Valley with a heated lap pool, eucalyptus steam rooms and fitness center. Current rates start at $355 during the weekdays; $495 during the weekends. For more information, visit roundpond.com or southbridgenapavalley.com. 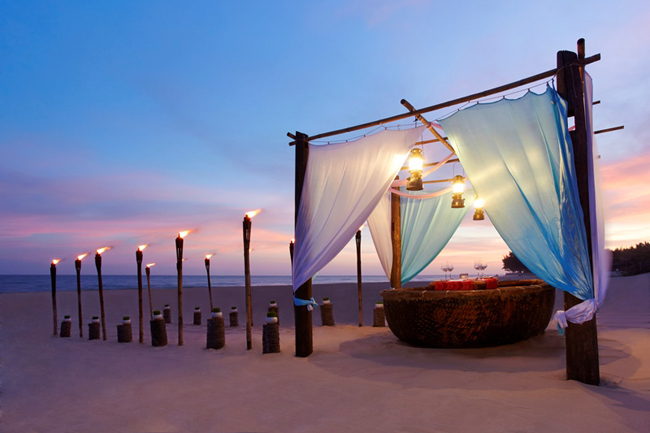 At the Anantara Mui Ne Resort, guests can enjoy a romantic dinner on the beach in a boat inspired by Vietnam’s traditional thung boat. Set amidst an oasis of tropical luxury along the southern coast of Vietnam in Phan Thiet, the 89-guestroom Anantara Mui Ne Resort is offering a romantic dining experience for guests on the shores of its sandy beaches. The unique Dining By Design concept allows guests to choose a dream setting and their own chef prepared meal to enjoy during a private candlelit meal for two. One setting available to guests takes inspiration from the local boats known as thungs (small, bowl-shaped basket boats made of bamboo), which date back to Vietnam’s French colonial era. As guests take in the cool sea breezes in their look-a-like thung, they can dine on local specialties such as shovelnose lobster, chargrilled “Phan Thiet” scallops or other dishes ranging from Asian cuisine to vegetarian fare as the resort’s sommelier presents them with a selection of international wines and champagnes to pair with their Dining By Design dishes. Anantara Mui Ne Resort features a variety of restaurants and bars, a spa offering signature Anantara treatments, and outdoor adventure tours that include hiking through the nearby red sand dunes or kiteboarding at the beach. Regular room rates start at $135 pp per night. Rates for the Dining by Design dinner start at $72 pp. For more information, visit anantara.com or mui-ne.anantara.com. QT Sydney’s Gilt Lounge cocktail bar has unveiled a variety of visually dramatic, Aussie-inspired drinks featuring a new take on well-known vintage recipes. 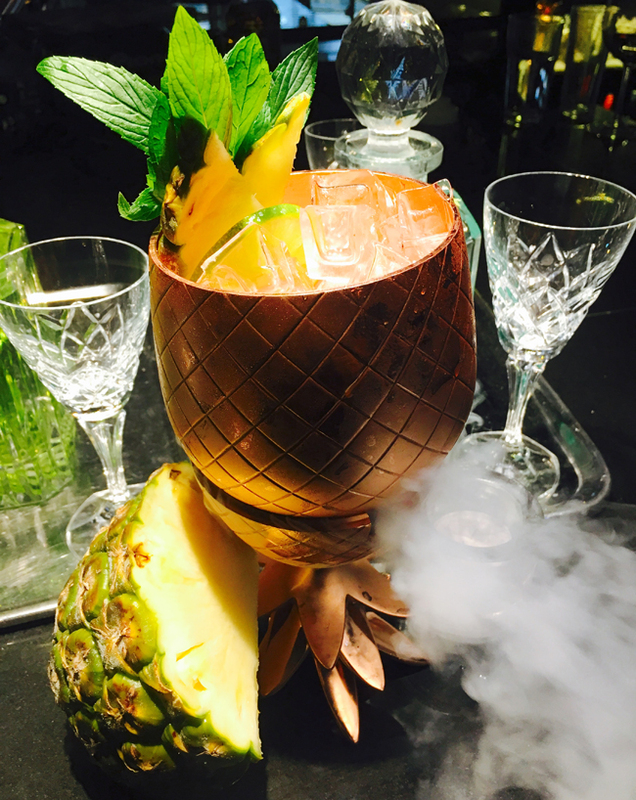 Made in Perlini shakers, poured from antique soda siphons and served in vintage crystal, the menu’s new signature concoctions include The Weis Daiquiri, The Gilligan and The Natural Hipster. To give the classic cocktails an Australian take, Gilt Lounge’s mixologists incorporated national favorites to the beverages, such as the Absolute Elyx vodka infused with pineapple, El Dorado Spiced Rum and Pernod Absinth used in The Gilligan, a classic rum punch served in a copper pineapple with pellets of dry ice and smoke. In addition to its cocktails, Gilt Lounge offers a selection of hand-picked, limited release wines from Australian and international producers. Guests can pair their crafty cocktails with a selection of edgy bar food, including the local favorite, Greats Balls of Food, which includes panko-crusted octopus balls, spinach and cheese rice balls and Spanish jamon potato balls. Located within the historic Gowings and State Theatre buildings, QT Sydney offers 200 boutique-style accommodations with complimentary WiFi, walk-in showers and oversized soaking tub in most rooms. Rates start at $315 per night. For more information, visit qthotelsandresorts.com. 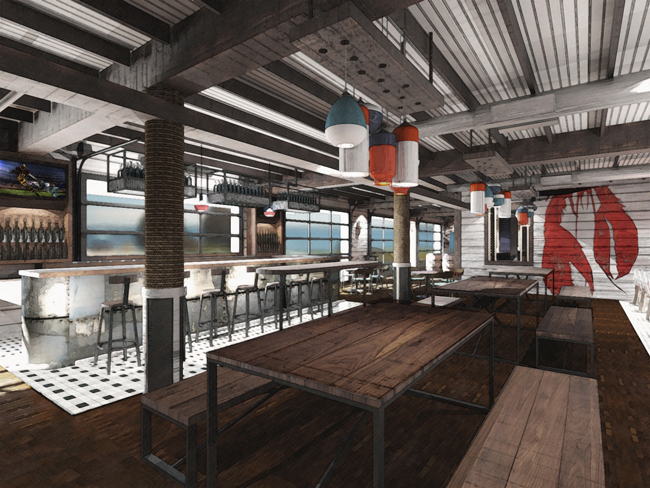 Cliff House Maine’s Nubb’s Lobster Shack restaurant will soon feature a Lobster Roll recipe, which guests can try to recreate at home using the resident chef’s recipe. The newly renovated Cliff House Maine— a Destination Hotels member located on the rocky coast of Southern Maine—is giving future guests a tasty incentive to stay at the New England resort. Those who book a minimum 3-night stay anytime in the next 12 months and pay for the reservation up front receive two live lobsters delivered right to their home within four days of their reservation confirmation when using the promo code D2MAY6. Cliff House features 132 guestrooms, each with terraces offering ocean or coastal views; refreshed restaurants and bars serving dishes inspired by indigenous Maine products; sea-inspired spa services; and year-round recreation throughout the property and in the surrounding New England coastal area. In addition, guests who book the Claws from the Cliffs of Maine package can contact the resort’s executive chef Rick Shell to get his Lobster Roll recipe, which will soon to be featured at the property’s Nubb’s Lobster Shack restaurant. Regular room rates start at $449 per night. For more information, call (207) 361-1000 or visit destinationhotels.com/cliff-house. On Hawaii’s Kauai Island, guests can pay homage to the traditions of Polynesia through the Hanalei Colony Resort’s weekly Ka Wai O Makana luau featuring local cuisine and traditional music and dance. 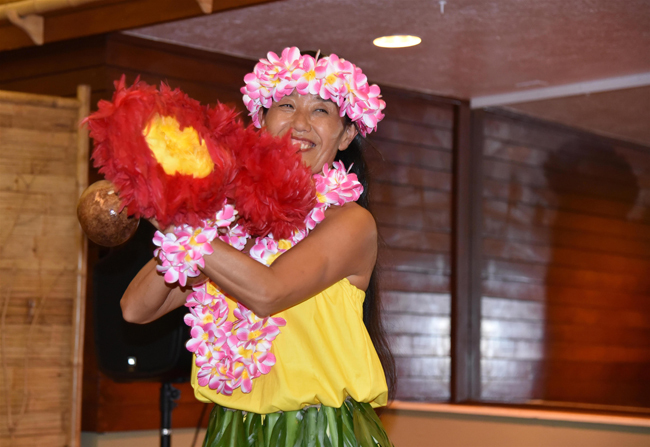 At the luau, held inside the property’s beachfront Mediterranean Gourmet restaurant, guests can watch performers dance the traditional hula, chant, and play Hawaiian music. In addition, a dinner will be served including local favorites such as kalua pork, teriyaki chicken, chicken long rice, lomi lomi salmon, Hanalei poi and haupia. The weekly celebration begins at 6 p.m. and is priced at $83 per adult; $60 for ages 12 to 20; and $38 for ages 11 and under. Adult prices include one alcoholic beverage with choice of a Mai Tai, house wine or draft beer. Reservations are required and can be made by calling (808) 826-9875. The 5-acre Hanalei Colony Resort features 45 low-rise plantation-style condominium suites with each offering sweeping views of Hanalei Bay or Kauai’s lush mountains, full kitchens, a privacy screen separating the bed from the living area, new furniture and a private lanai. Room rates start at $329 per night. Rates from Oct. 17 through Dec. 10 are available at a 30 percent discount while the resort undergoes roof renovations. For more information, call (800) 628-3004 or visit hcr.com.